VW says a memo on problems with U.S. diesel emissions tests was included in Winterkorn's "extensive weekend mail" in May 2014. The automaker did not say who sent it or whether Winterkorn read it. FRANKFURT (Reuters) -- Volkswagen Group's former CEO Martin Winterkorn was alerted to problems with U.S. diesel emissions tests in 2014, but the issue "did not initially receive particular attention at the management levels," the automaker said. A memo was sent to Winterkorn in May 2014 about a study by U.S. researchers that raised questions about whether Volkswagen diesel cars were emitting more smog-creating pollutants in real-world driving than in standard government tests, the company said in a statement that summarized its response to a shareholder lawsuit in Germany. That memo was included in Winterkorn's "extensive weekend mail," VW said. It did not specify who sent the memo, and did not say whether Winterkorn actually read it. 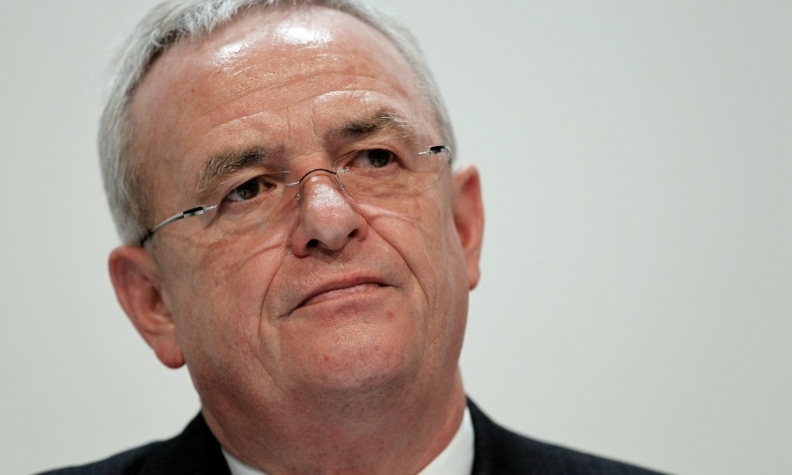 "Whether and to which extent Mr. Winterkorn took notice of this memo at that time is not documented," VW said. In November 2014, Winterkorn received another memo that referred to a cost framework for the diesel issue in North America, then estimated at 20 million euros. Winterkorn also attended a July 2015 meeting at which diesel emissions issues were discussed, but it is not clear whether he knew of the cheating at the time. The German group admitted publicly last September that the anomalies in U.S. emissions tests were caused by software designed to cheat the tests. That acknowledgement has erased billions of euros from VW's market value, forced Winterkorn's resignation, and sparked investigations and lawsuits across the world. "Volkswagen expressly regrets that, looking back, the situation is different," the company statement said. VW is in intensive settlement talks with the U.S. Justice Department and U.S. clean air regulators. The company faces a March 24 deadline to tell a U.S. judge whether it has an acceptable fix for almost 600,000 diesel cars. Volkswagen is mounting its defenses ahead of a report next month by U.S. law firm Jones Day appointed by the carmaker to investigate those responsible for the biggest corporate scandal in its history. The company is fending off lawsuits claiming it was too slow to inform investors about its rigging of emissions tests. Investors have lodged dozens of lawsuits at the German regional court in Brunswick, claiming VW failed to disclose its test rigging until about three weeks after it had admitted its wrongdoing to U.S. authorities.